The smell of flavorful cookies baking in the oven is just something that has to happen in every house that respects Christmas. 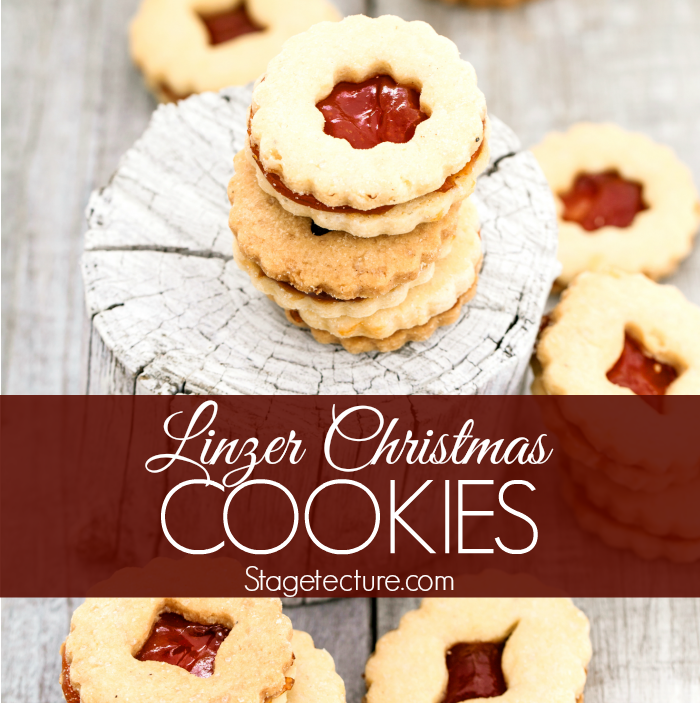 One of the all-time favorite cookies that have become classics through time, are the delicious, nutty, wonderful looking Linzer Cookies. They are traditional Christmas Cookies, coming from Linz, Austria. They usually are shaped using star cookie cutters, but you can really use any cookie cutter you like. The dough is easy to work with and they are simple to assemble. So, give them a try and let their aroma fill your home. Take your pecans or other nuts and use a food processor to grind them into fine powder (like flour), together with ½ cup of the flour. Don’t over-process them or they will become wet due to the nut oil. In a large bowl, mix together the finely ground hazelnuts and pecans (nut flours), the remaining 2 cups flour, cinnamon, baking powder and the pinch of salt. With an electric mixer, beat the butter and sugar until you have a nice, fluffy and light-colored mixture. This should take about 5 minutes of beating. Now it’s time to add the egg. Reduce the speed of the electric mixer and slowly beat in the flour mixture. You should now have some nice dough. Divide the dough into two parts and shape each one into a disc, wrap them in plastic wrap and put them into the refrigerator for two hours minimum and up to two weeks. You can also freeze the dough for about a month until you are ready to make the cookies. When ready to make them, preheat your oven to 325 degrees and line a baking sheet with parchment paper. Lightly flour your working surface so the dough won’t stick. Roll out the dough to about 1/8 inch thickness. It’s a good idea to put your rolled out dough in the refrigerator for another 20 minutes, so it’s easier to cut the shapes out. Now cut out star shapes (or other shapes). 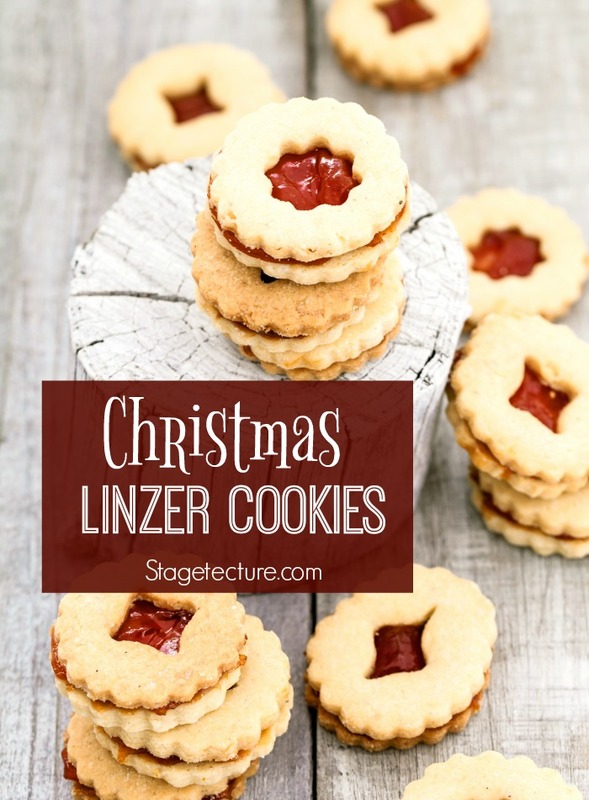 Cut out a smaller star shape (or other) at the center of every second cookie (you will need two cookies to make one Linzer cookie: one uncut and one with a cut-out). Transfer them to the baking sheet. Let about 2 inches of space between each cookie. Bake them for 13-14 minutes or until pale gold and let them cool on the baking sheet on wire racks for about 10 minutes. Then transfer the cookies to the racks and let them cool down completely. When you’re ready to serve them, dust the cookies with the cut-out with powdered sugar. Spread about ½ tsp of preserves onto the center of the uncut cookie and top it with the cookie with the cut-out. Making these Christmas Cookies will bring you in a most Christmas mood. Put on some seasonal music and just enjoy making and decorating. Kids can easily help cutting them out and assembling them, so you can have some nice, atmospheric family time this holiday. They also make some great home-made gifts since they don’t only look so wonderful snowy, but they taste delicious, too! Hosting or Going to a Cookie Swap? 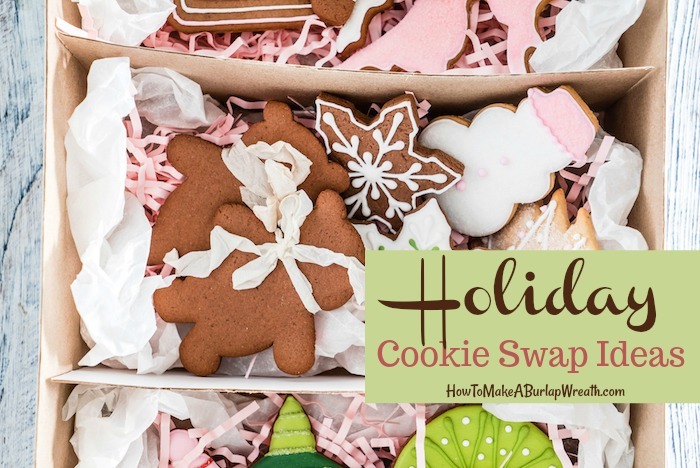 Try these cookie swap ideas on How To Make a Burlap Wreath. From hosting to invitations and cookie ideas. 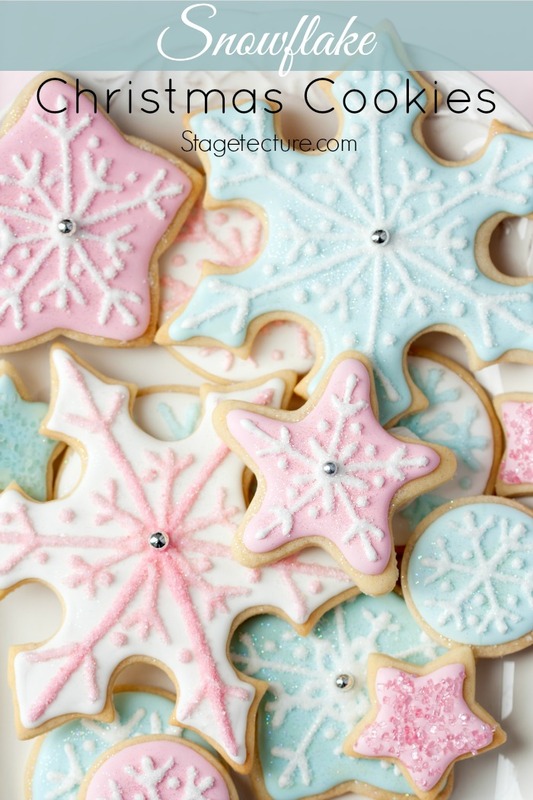 For more Christmas cookie recipes on Stagetecture, click here.